Yesterday, I toured Greenwood Avenue, where a good part of the curbings appear to be made of granite, not slate. This interests me only because my hometown of Springfield, Massachusetts typically used granite curbs, which typically hold up better against the elements and snow plows. My mom’s neighborhood, built in 1971, and sees about the same amount of traffic as your average Jenkintown side street, has yet to repave the street or replace any of the curbs. No, she did not have sidewalks, but if she were still alive, she’s probably say “See? I told you so.” This, despite the fact that Springfield maintains its sidewalks. City ordinance only requires residents keep them clear. Louise and I have lived together in Jenkintown since late 2002, marrying a year later. The year before, Louise’s mom had passed away, and while she stood to inherit the house, she considered selling it and buying elsewhere. We didn’t much like the house at the time, mainly because of its tiny kitchen and lack of porch. After an exhaustive and frustrating search for a better house in a location as good as Jenkintown, I finally said to Louise, “You can always improve the house, but you can’t always improve the location.” So, here we are. Our house fullfills four of the five ingredients of the Recipe (still no porch), but I welcomed the opportunity to live in a town and area so rich in aesthetics, history, and culture, and I looked forward to getting involved in the community. This blog represents my attempt to help make Jenkintown as great a community as possible. Thanks to my travels around this country visiting hundreds of other communities, learning how they have thrived or declined, I find myself in a unique position to compare our progress against similar neighborhoods and older inner-ring suburbs. No place is perfect, and they all have their quirks, but when they do things right, it shows in their downtowns, their parks, their schools, and certainly their streetscapes. Forgive me, but I contend that our streetcapes are becoming a greater mess, and this latest project is not improving matters. Yes, the fresh asphalt certainly provides a smooth, uniform surface that makes driving our streets a sheer pleasure, but in a walkable community, I care more about the pedestrian experience. The policy that guides our Borough has rendered our sidewalks a patchwork mess of often substandard construction that will decay much faster than a uniform, wholesale approach to pedestrian infrastructure would provide. Beyond that, despite the assurances by the Borough that pedestrian safety underlies this program, the end results will continue to hurt people, both physically and in no small way, financially. I contend that a community asset should be a community responsibility. We don’t charge tuition to our schools, we share the cost of maintaining the streets, and we don’t levy an entrance fee to our playgrounds. Why are sidewalks (and curbs) excluded from this single-payer system? We need to find a better way, one easier for everyone, not just the wealthier households. Sidewalks are, and should remain, a public right of way. I contend that we are spending individually far more than we would as a community for a better streetscape and we are getting far less for that money. The money so far spent just on the patchwork fixes on Runnymede paid to a single, lowest-bidding contractor would probably rebuild the sidewalks for the whole street. Louise and I merely want this discussion to finally take place. Council thinks you have no real issues with this policy, but my discussions with other residents show otherwise. I know that my prose often suffers from an ascerbic and sarcastic tone, but I come from a hardscrabble background, raised by a single mom with no patience for nonsense. She had to battle her way to a comfortable lifestyle that only came late in life. I inherited her attitude if little else. Meet with me, and you’ll find I’m not just a crank. If I were, there’s no way I’d be lucky enough to marry a woman like Louise. Maybe we can improve the location, and I’m happy to do my part in what should be a shared effort. A better planned, more equitable, approach will certainly bring this community greater benefits than what we have now. I’m betting my house on it. 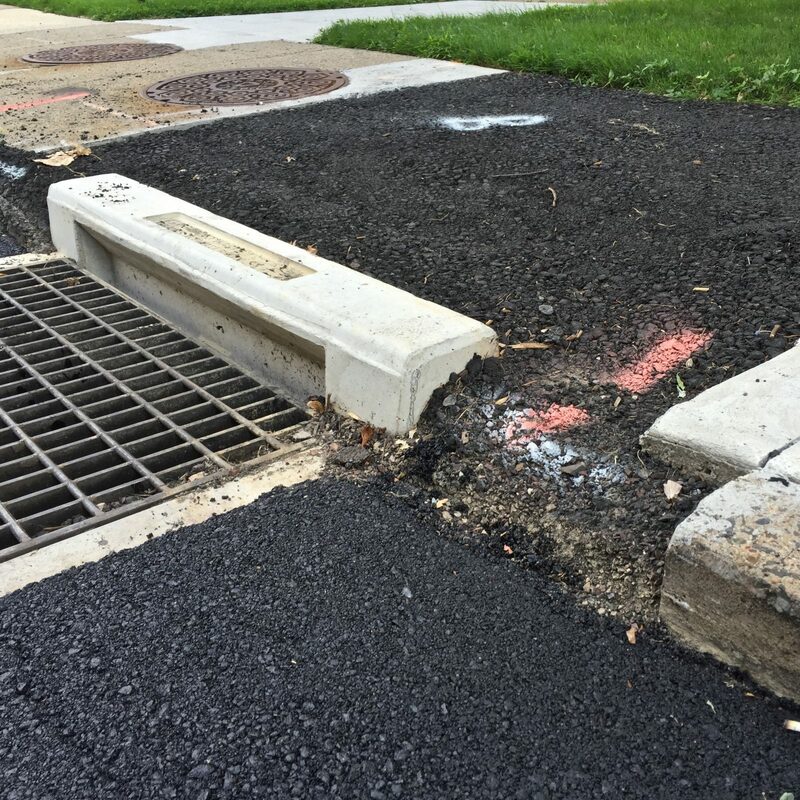 If you are unhappy about the borough of Jenkintown’s sidewalk maintenance policy, then I ask you to please attend this month’s borough council meeting on August 24. If you believe, as I do, that the current policy is unsustainable, inefficient, unsightly, and open to political abuse, please come and express yourself to the council. The board labors under the impression that the status quo suits you fine. Please stand with me and show them they are wrong, and that you would like find a better way — because there is a better way. Please leave a comment below or email me at [email protected] to tell me what you think.